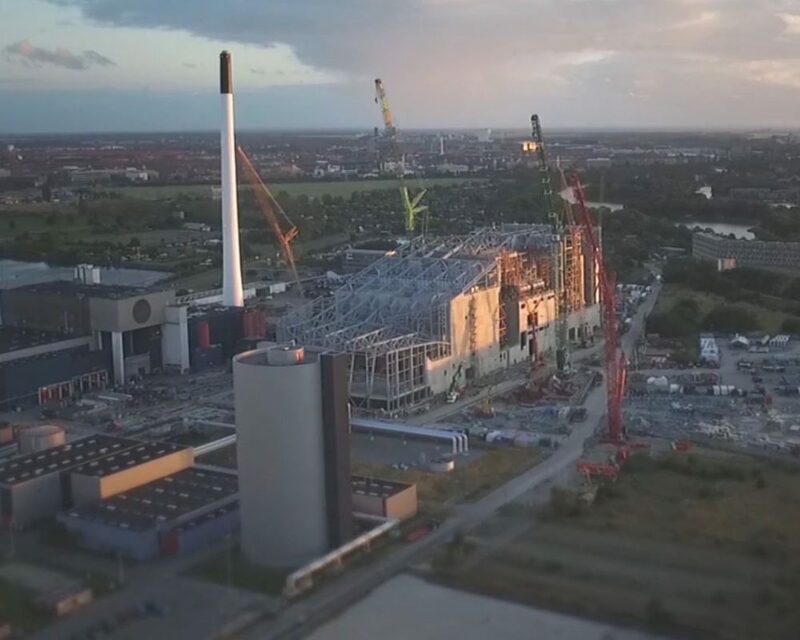 Amager Resource Center (ARC), MOE, Bjarke Ingels Group (BIG), and Züblin receive European recognition for the steel design at Copenhagen’s spectacular, new waste-to-energy plant. Professional steel enthusiasts from across Europe have been gathered at the European Convention for Constructional Steelworks, which has been held on Danish soil for the first time. On Thursday 14 September, the plant containing a ski slope was awarded an Award of Merit. As grounds for awarding the prize, the judging committee highlighted that “The multifunctional industrial design is an ambitious vision for how a green energy plant can be combined with recreational areas that encourage adventure, play and movement”. This is combined with the fact that “the plant exhibits a superb use of steel—both as visible material and as structural steel—brought together in a world-class building complex”. Fill out the form and you will be contacted by one of our experts. Previously, production facilities were synonymous with square blocks. With Amager Bakke, we are trying to put an end to this perception. Here we are solving a very important infrastructure task while taking account of the fact that we are in a growing city where the need to integrate industry and city life is thus constantly increasing. Amager Bakke is one of the largest and tallest buildings in Copenhagen and is also world-renowned for its spectacular architecture designed by BIG. The idea of installing a ski slope on the roof is to signify that the smoke from the plant’s sustainable energy production is so clean that it is comparable to mountain air. At the same time, the aim is to show how large industrial facilities can have a positive impact on the city. Like natural ski slopes, the roof slopes in all directions, which has posed considerable challenges for the engineering firm MOE. The firm has more than 85 years of experience designing power plants but has no previous experience with ski slopes. Peter Madsen Nordestgaard, MOE’s Technical Director for Steel and Project Manager at Amager Bakke, is therefore proud to receive international recognition for the construction work. “If anything, this building has illustrated how steel is a very malleable material that allows you to realise highly original ideas. We have also delivered the architect’s vision while keeping within the project’s budget”.